Breakfast is the most important meal of the day because it provides you the required energy to do heavy work throughout the day. A proper breakfast can make or spoil our day, so it is important to have a proper breakfast. Keeping this in mind city's newest 4-star hotel 'Grace 21' is offering a sumptuous breakfast buffet for the guests. 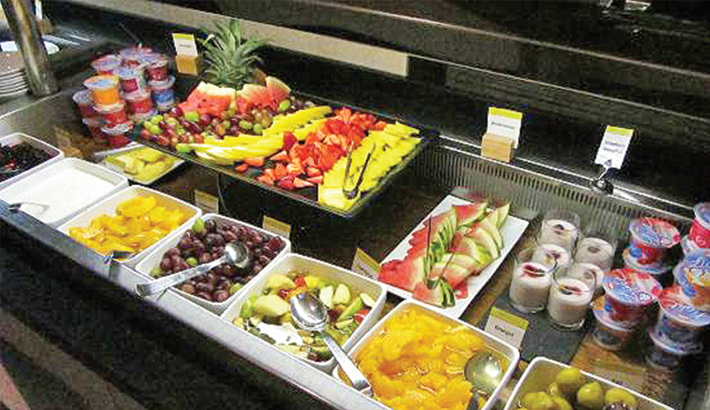 At their LA GRAClA restaurant 55+ items are offered in the buffet breakfast menu. Guests can enjoy a wide selection of fresh juices, fruits and different types of cake, pickles, vegetables, chocolate croissant, plain croissant and many more. Anyone can avail of this opportunity with BDT 599 only.